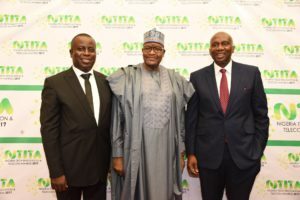 (L-R): Mr. Olusola Teniola, President, Association of Telecommunications Companies of Nigeria; Prof. Umar Garba Danbatta, Executive Vice Chairman, Nigerian Communications Commission; Dr. Ernest Ndukwe, Executive Vice Chairman, Nigerian Communications Commission. 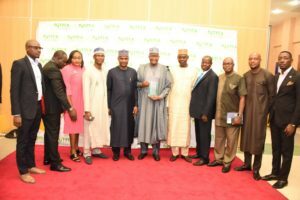 The Nigerian Communications Commission (NCC) has reiterated its commitment towards ensuring high speed broadband connectivity in the country. The Executive Vice Chairman (EVC) NCC, Prof. Umar Danbatta while giving a key note speech at the Telecom Executives and Regulators Forum (TERF), which held at the weekend in Lagos, highlighted various initiatives through which the commission will further deepen broadband connectivity to end users, even as the country is targeting 30 percent broadband penetration by 2018 and has crossed the 21 percent mark to bring it close to its 2018 target. Dubbed ‘Next Generation Broadband Initiative’, the regulator plans for affordable broadband include licensing InfraCos (infrastructure companies) on a regional basis to provide metropolitan fibre and wholesale transmission services on a non- discriminatory, open access and price regulated basis as 2.3GHz spectrum has been licensed for wholesale wireless last mile services already. The commission will also be engaging government at various levels to facilitate speed in processing permits, harmonization of tax regimes and ease of deployment of infrastructure, including streamlining right of way (RoW) charges. The regulator plans to further enhance competition in the market and improve consumer choices, institute price caps for leased transmission capacity to address anti-competitive pricing as well as auction and assign required spectrum for wireless and mobile broadband on an open and transparent basis. 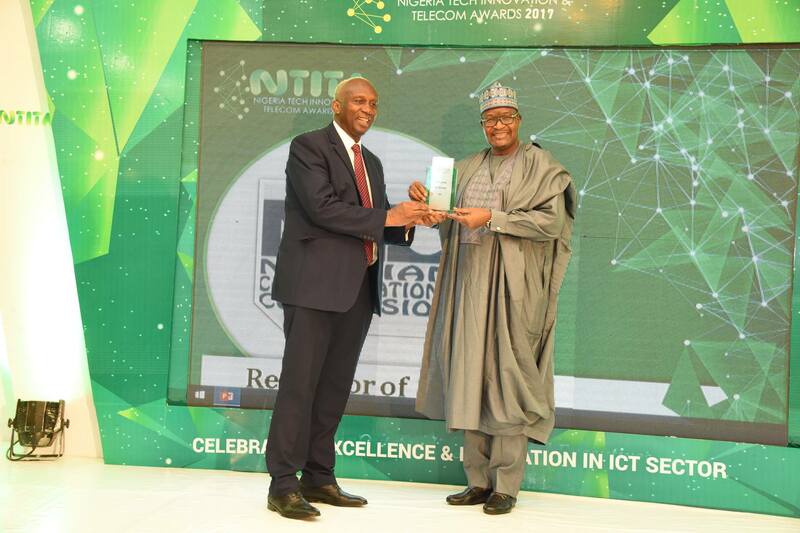 Danbatta further stated that the key objectives of the ‘NCC’s Broadband Initiative’ is to achieve high level of broadband penetration across all geo-political zones in the country, ensure competitive and affordable pricing of high speed broadband internet, position Nigeria as a leading infrastructure hub in Africa, ensure development of smart incentives to support industry players and also contribute to the growth and development of a knowledge economy in Nigeria.